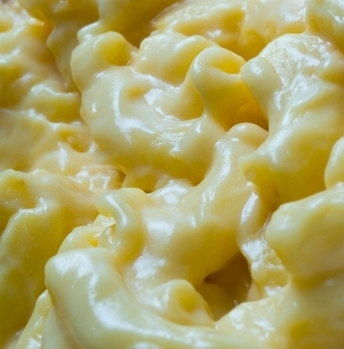 Macaroni pasta with a creamy, cheesy sauce isn’t health food. It’s rich and fatty and comforting. Sometimes you just feel like that sort of indulgent sustenance. Am I right? My mother used to cook it and add peas; broccoli is nice as well, and/or carrots if you wish. So you won’t feel as guilty eating it. You know what I mean. Tatchana Ramasamy wrote asking for a Macaroni Cheese recipe that I had published in one of my cookbooks. Here it is. I remember growing up with macaroni cheese. Although it’s a little out of fashion in today’s multi-cuisine society, it still remains one of my favourites. Serves 4. Cook the pasta according to the directions on the packet. Drain, and transfer to a lightly oiled casserole dish. Melt the butter in a medium saucepan. Sprinkle in the flour and cook for 2 minutes, stirring continuously. Remove from the heat and gradually whisk in the milk and cream. Return to the heat and bring to the boil, stirring until the mixture thickens. Add the cheese, pepper and nutmeg, and mix well. Pour the sauce over the pasta and mix thoroughly until evenly coated. Sprinkle the Parmesan cheese over the top. Bake in the oven for 10 minutes, or until the top is golden brown.